The Arab countries’ budgets for 2019 have been characterized by several features, notably the fiscal deficit, the reduction of government subsidies, the decline in revenues and investment expenditures, in line with the austerity measures and tax increases that will exacerbate the stagnation of the business sectors. Economists believe that the deficit is a significant feature in the budgets of the Arab countries, but with the difference between oil countries with financial surplus and non-oil countries with permanent deficit, and most of them now suffer from the deficit in their budgets, especially with the decline of oil prices below $ 70 a barrel, in the addition to the political troubles in Arab region, which does not allow governments to spend as much economic development as it does toward greater armaments. In the oil countries, the impact of the decline in oil prices seems quite clear, as the governments of these countries have to reduce their estimates for the price of the barrel in the budget, which consequently entails lowering the expectations of the level of revenues of the public treasury and the impact on public spending, especially investment spending, which economic and Development Projects are directly affected by it. The reduction in revenues is a major factor in the need for countries to impose austerity measures that help governments to reduce the worsening financial deficit resulting from the decline in financial flows, as well as impose corporate and individual tax provisions to enhance liquidity to meet the needs of the financing countries. The decline in oil prices, proved that the countries importing fuels “oil”, seemed to benefit from the deterioration of the price of oil, as the oil import bill is declining due to the fall of the price in world markets , which relieves some of the expenses necessary for the operation of vital facilities operating in oil derivatives, they are not forced to raise fuel prices on distribution stations, although some governments do not want to cut distribution prices to take advantage of the price differential when oil prices fall. Saudi Arabia is ranked first in the size of the general budget among Arab countries. Saudi Arabia expects the deficit to reach 131 billion riyals (about 35 billion dollars), representing about 4.2% of GDP. It is also expected to increase the public debt to 678 billion riyals (about 180 billion USD) and represents about 21.7% of GDP according to the budget of 2019 published by the Ministry of Finance of Saudi Arabia. The Saudi government may resort to more external and domestic borrowing to meet its needs as revenues decline, despite increased oil exports, and the World Bank expects its economic growth to reach 2 percent this year. Analysts expect the fiscal deficit for next year to rise as oil prices fall, and not improve, despite OPEC and producers from outside announcing a cut in oil production by 1.3 million barrels per day in 2019 (USD = 3.75 Saudi riyals). While the budget of Iraq is the second largest budget after Saudi Arabia, which included the estimate of the total revenues of the federal budget more than 105 trillion Iraqi dinars, and the calculation of estimated revenues from the export of crude oil, and the rate of export of oil per day by (3,880) million barrels, including (250.000) Barrels per day for the quantities of crude oil produced in the provinces of the North region, an average price of crude oil ($ 56) per barrel, at an exchange rate (1182) Iraqi dinars per dollar, and all revenues are credited to the state treasury. The amount of financial expenditures in the draft budget, more than (128.4) trillion Iraqi dinars (about 108 billion dollars), a financial deficit of (22.8) trillion dinars (about 19 billion dollars). Egypt’s budget is close to 80 billion dollars, with a deficit of 24 billion dollars, and is the third largest budget among the Arab countries. The fiscal year begins in early July and ends at the end of June each year. Public finance in Egypt faces several challenges, especially after the floating of the pound in 2016, the reduction of fuel subsidies and the imposition of value added tax (VAT), steps that came within the framework of economic reform program in cooperation with the IMF. The dollar is around 17.9 Egyptian pounds. Qatar is the only country that has recorded a budget surplus of about $ 1.1 billion. It expects revenues to reach about $ 58 billion. Its budget is about $ 57 billion. The draft budget, based on the provision of the necessary allocations for Qatar National Vision 2030 plans and projects, for its different economic, social human and environmental pillars and work to increase other revenues (Non-oil), as well as providing financial allocations for the completion of major projects and projects related to the World Cup 2022 in Qatar. The country budget included the allocation of funds for the development of infrastructure in the economic zones, Industrial and logistics, supporting initiatives to develop the business environment, enhancing the role of the private sector and its participation in various economic activities, and supporting food security projects. Qatar expects the surplus driven by improved energy prices noting that the price of dollar = 3.6 Qatari Riyal. The budget of the United Arab Emirates is $ 16.42 billion without deficit. It does not represent the real budget of the UAE, especially since each emirate has an independent budget. 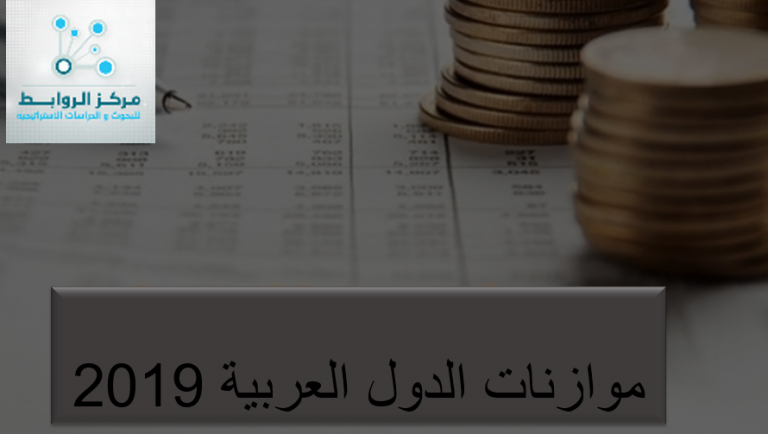 The federal budget revenues for 2019 are estimated at 60.3 billion dirhams and estimated expenditures are the same value without deficit for the second year respectively, while the total expenditure for the three years 2019-2021 is about 180 billion dirhams, which meets the needs of the government program aimed at providing the best services to citizens and residents, noting the price of dollar =3.6 Emirate Dirham. Kuwait announced in early 2018 its estimates for the budget for the current fiscal year 2018/2019, where it expected revenues of 50 billion dollars and the volume of spending estimated at 66 billion dollars, the deficit to reach for the current fiscal year about 22 billion dollars after the deduction of the reserve for future generations, the budget depends on , in the current fiscal year estimates , the price of a barrel of oil at $ 50, and production volume of 2.8 million barrels per day. Kuwait’s fiscal year begins on the first of April of each year and ends at the end of March of the following year. Algeria’s budget bill is expected to generate revenues of $ 55 billion, of which $ 23 billion is fuel, compared to expenditures estimated at more than $ 72 billion, a deficit of nearly $ 17 billion. Algeria hopes to register a growth rate of 2.9%. The budget does not include any increases in taxes or new taxes, 20% of which is allocated for social benefits and subsidies. The price of the dollar is 118 Algerian dinars. Tunisia’s total budget is estimated in 2019 at 40.8 billion dinars ($ 14.5 billion), an increase of 8.5% compared to the budget of 2018. The budget predicts that the deficit will fall to 3.9% from the GDP in 2019, equivalent to $ 1.6 billion, compared with expected deficit of 5% this year. The budget predicts economic growth in 2019 by 3.1%, up from about 2.6% this year, and the budget as built on the assumption of the price of a barrel of oil not less than $ 72, and public finance in Tunisia is facing a new challenge which is reflected in the demands of workers to increase wages, noting (the dollar =2.9 Tunisian Dinar). Jordan’s budget is estimated at $ 13 billion with a deficit of close to $ 910 million. The Kingdom suffers from economic challenges and a general debt exceeding 94% of GDP. (USD = 0.71 JD). Morocco has set its budget for 2019 at $ 46.5 billion, with a deficit of $ 2.7 billion, while revenues of $ 43.7 billion are expected, and its budget is based on the assumption that the economy will grow by 3.2%, supported by an expectation of average gas price of $ 560 per ton. According to the Budget Law, the Moroccan economy faces challenges related to the promotion of transparency, the transition to alternative energy and the expansion of computing (USD = 9.5 Moroccan Dirham). Oman’s budget is $ 33.5 billion, with a deficit of $ 7.3 billion, revenues of $ 26 billion and its budget based on the assumption that the price of a barrel of oil will remain within $ 58 per barrel. Dollar=0.38 Omani Riyal. Sudan estimates its budget for the current year at 4 billion dollars, with an estimated deficit of 690 million dollars. Sudan, still experiencing internal turmoil, expects positive growth rates (USD = 47.6 Sudanese pounds). In spite of the war, Syria has a budget without a deficit , spending of nearly $ 9 billion, most of which is expected to go for reconstruction. The next year’s budget bill is estimated at $ 8.9 billion, about one-third of which is earmarked for investment projects for areas affected by internal wars that have been going on for about 8 years. In 2011, it witnessed a massive destruction of infrastructure, and in August the United Nations estimated the cost of destruction at about $ 400 billion. The Syrian President Bashar al-Assad issued Law No. 44 of 2018, which sets the appropriations of the State Budget for the fiscal year 2019 with a total amount of 3882 billion Syrian pounds. (USD = 443 Syrian Pounds). Some Arab countries do not have any clear budget, either because of disputes or because of a political vacuum or disruption such as Libya, Lebanon and Yemen. For example, Lebanon has approved one budget in 2017 in 12 years. According to the budget laws and projects in 13 Arab countries whose figures are available, the financial year of some countries varies. It begins and ends with the Gregorian calendar in some of them. And it begins and ends at the end of the first quarter of each year or begins and ends with the end of the first half of each year in other countries. Budget projects, or government budgets planned in most Arab countries, are characterized by austerity, taxation and more fiscal deficits that require them to become more indebted and accumulate mountains of debt that future generations will have to pay for decades. The World Bank expects oil-exporting Arab countries to grow in 2019, following improved oil prices and an active investment movement, notably Iraq, especially under reconstruction projects that will stimulate growth to 6.2%. The budget assumptions for oil prices range from $ 50 to $ 72 a barrel, while some budgets show an erosion of support for citizens, more taxes and customs duties, and higher prices for most goods and services and more spending for the armament . The burden of indebtedness is a priority for Arab countries. As borrowing has become a permanent feature for countries that are supposed to be lending countries because they possess enormous oil wealth. The poverty and unemployment syndrome is still absent from the budgets of Arab countries, even if they claim otherwise. The evidence is that the numbers of the poor are increasing, and the unemployed are also increased, not to mention the new challenges faced by the Arab citizen in the light of the decline of direct or indirect government support.